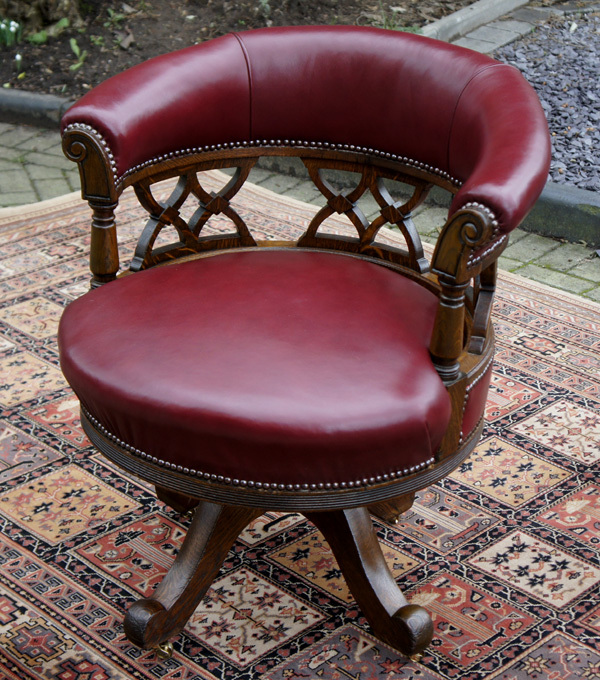 This good quality Victorian oak swivel seat desk chair is of generous proportions. It is a very comfortable and capacious chair with a padded horseshoe shaped back supported by lattice splats and a padded seat. 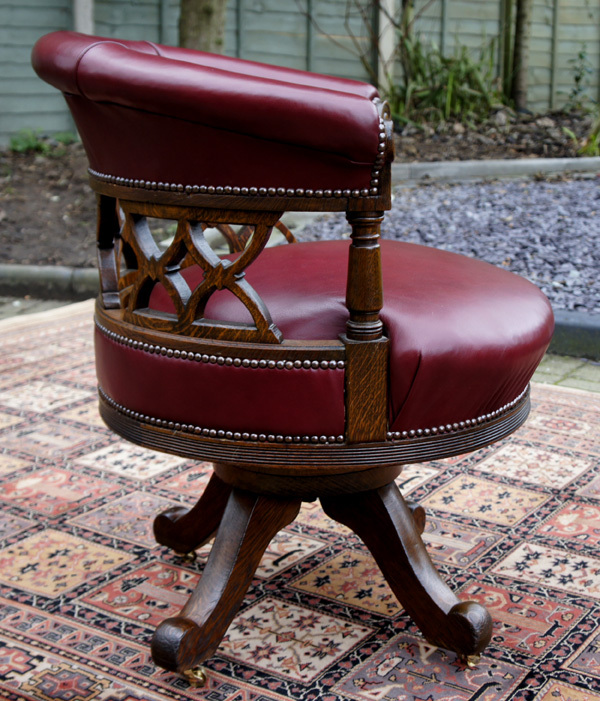 This good quality Victorian oak swivel seat desk chair is of generous proportions. 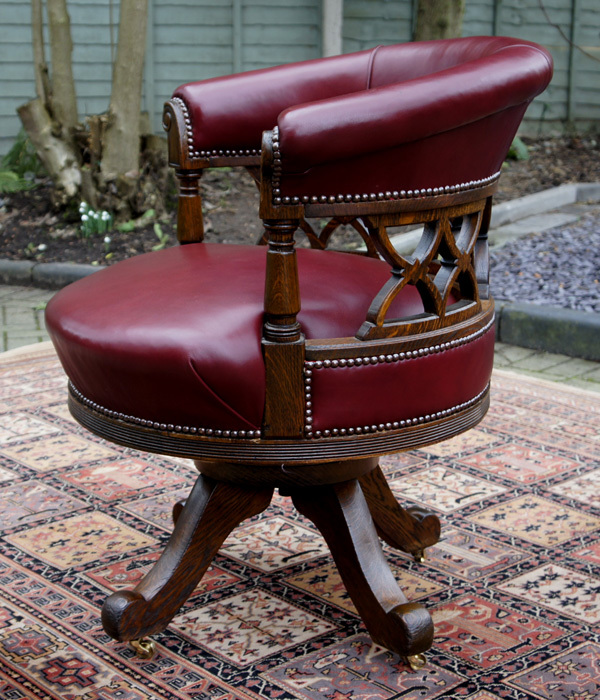 The original swivel seat mechanism is in good working order and the chair stands on four cabriole legs. 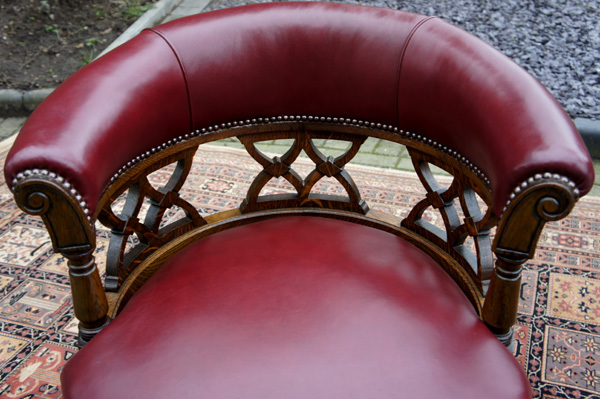 It is in excellent condition, cleaned, wax polished and solidly constructed.